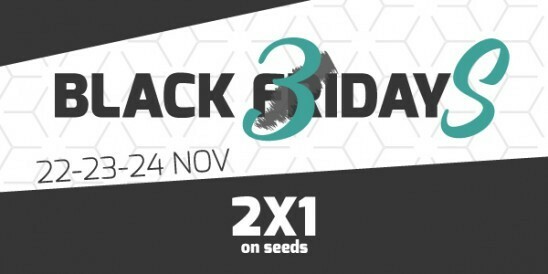 2x1 on ALL our seeds! Black Friday starts early at Dinafem! This year we feel extremely generous and so we’ll be running a 3-day Black Friday sale. From today until this Saturday 24 Nov. at 11:59 PM (UTC+1), for every pack of any strain you purchase, you’ll get another one for free.